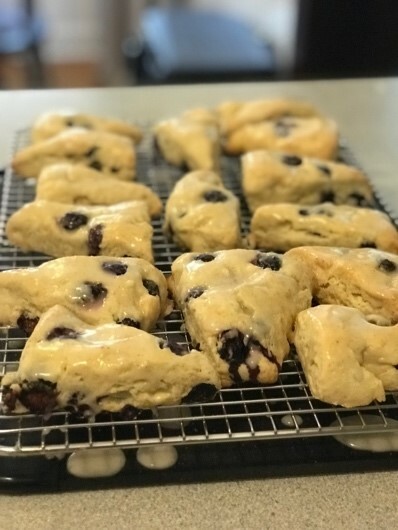 Delicious gluten-free scones? Can they exist? I often find it hard to describe gluten-free breads as delicious, but it's not for lack of trying. My mom has been gluten-free for years, and she frequently seeks out gluten-free bread. I have made a significant effort to try her choices of bread, but to be honest, I have yet to taste one and think to myself, “Wow, this is really good.” But the recipe I am about to share with you defies the odds. This recipe will even have the bread-a-holics trying it out! 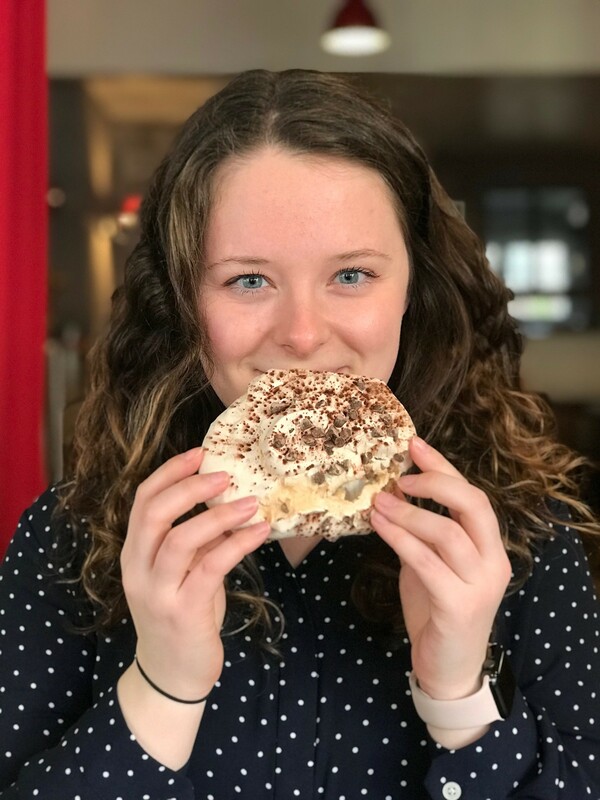 I have taken pictures every step of the way to help you enjoy these scones faster! Scroll down for the recipe in a traditional format with the ingredients and instructions listed. Preheat the oven to 400°F and line a baking sheet with parchment paper. 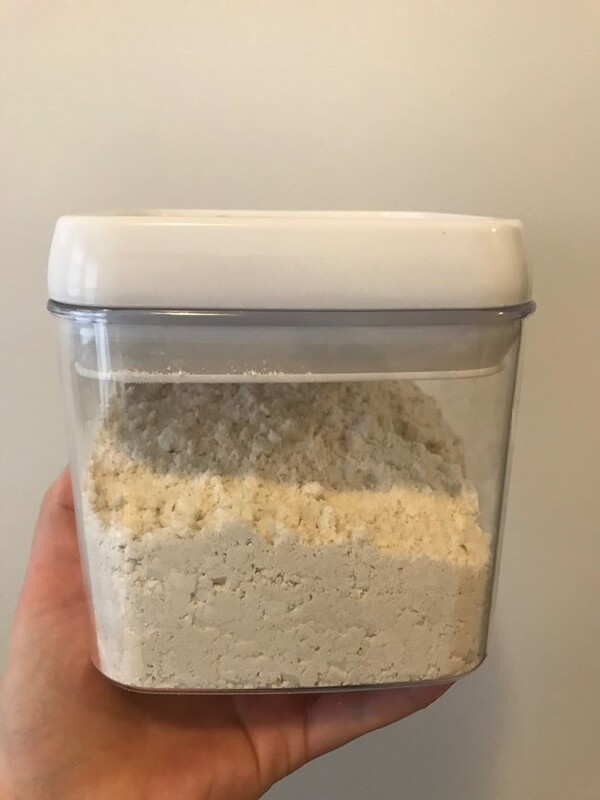 Making your own brown rice flour blend is key to this recipe. Combine 2 cups brown rice flour, 2/3 cups potato starch and 1/3 cup tapioca flour to create this mixture. In this recipe, you will only use 2 ¼ cup of this blend. Keep extra on the side for cutting the dough. In a large bowl, whisk together 2 1/4 cups of the brown rice flour blend (made in the previous step), ¼ cup sugar, 2 teaspoons baking powder, ½ teaspoon xanthan gum, ½ teaspoon salt, and ¼ teaspoon nutmeg. Work in 8 Tablespoons of cold butter until the mixture is crumbly. The butter must be cold, and you want to use either a fork or a pastry blender to incorporate the butter into your dough. 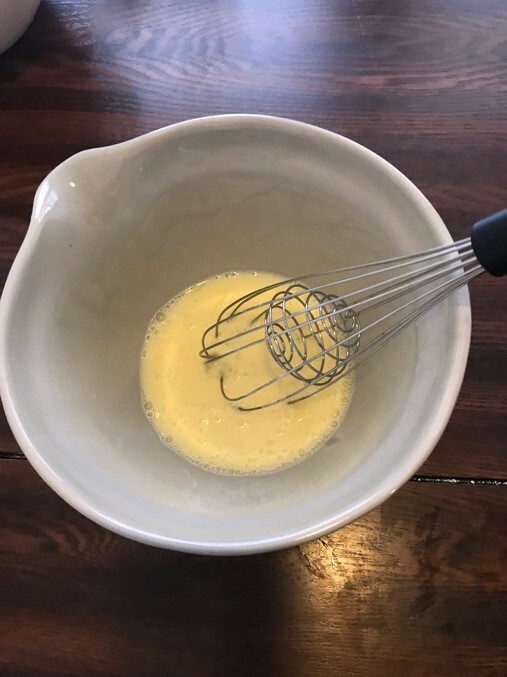 Whisk together 2 large eggs, 1/3 cup cold milk, and 1 teaspoon vanilla bean paste until frothy. Add the wet ingredients to the dry ingredients. The dough should be cohesive and very sticky. Fold in the blueberries and the zest of 1 lemon. 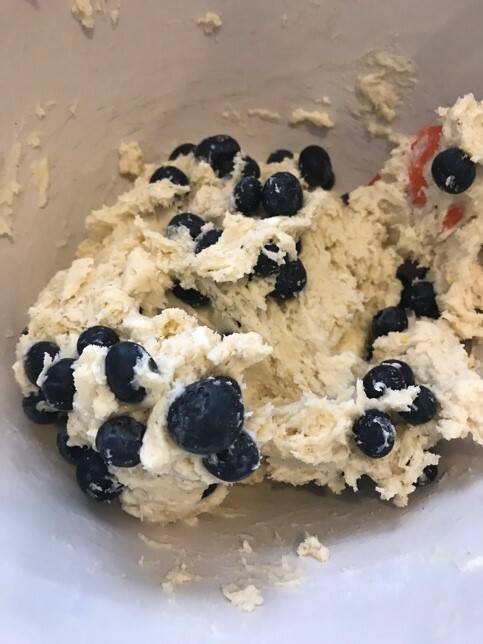 I added blueberries to this recipe because I am a sucker for anything that has blueberry. 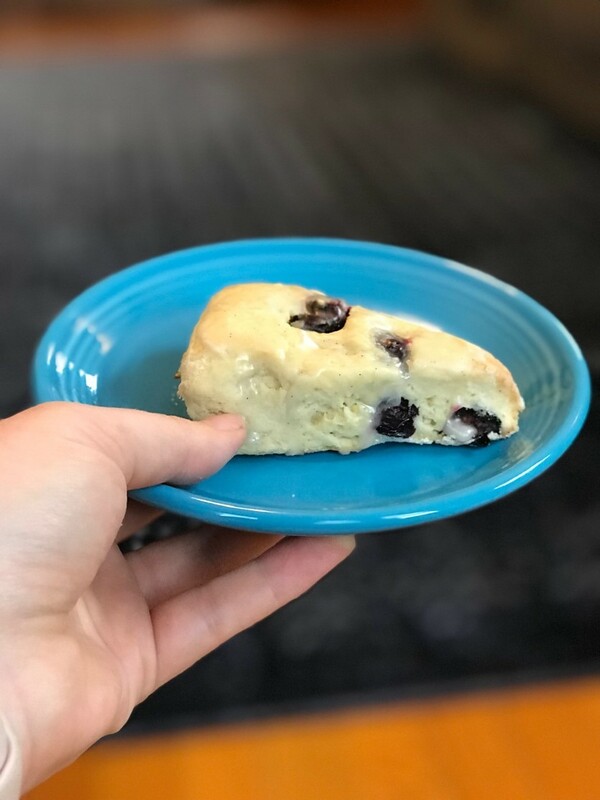 You can add other ingredients to change up the scones however you like. Maybe the zest of an orange or dried cranberries and almonds? Play around with the ingredients until you find flavors that match what you are interested in eating that day. Put the extra brown rice flour blend on the table. Take the dough and create one large rectangle. Then cut the dough down the middle, so that you have two rectangles. Add the extra brown rice flour blend to a knife or a bench scrape and use this to divide the dough into rectangles. This will yield about 16 scones depending on how you cut the triangles. 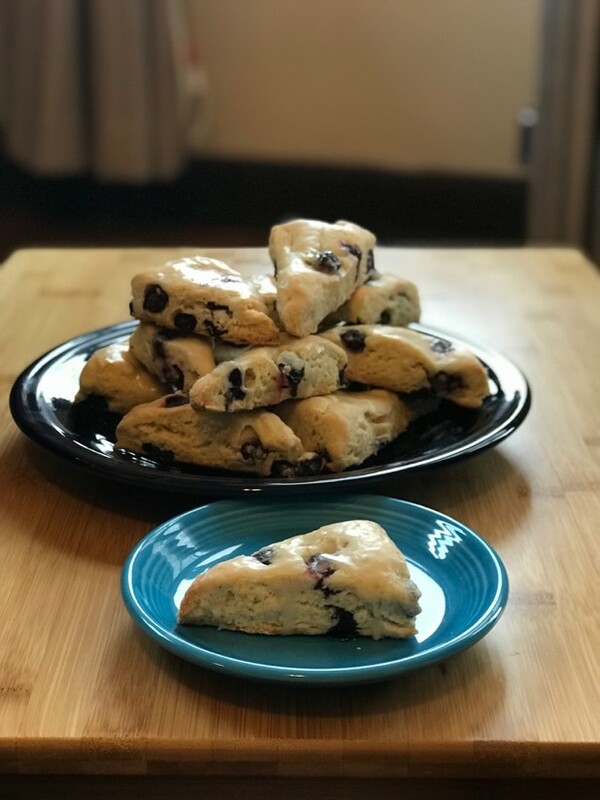 Bake the scones on a parchment-lined baking sheet for 20 to 25 minutes, until golden brown. Remove from the oven and let rest for 5 minutes. In a small bowl combine powdered sugar, lemon juice and vanilla bean paste. 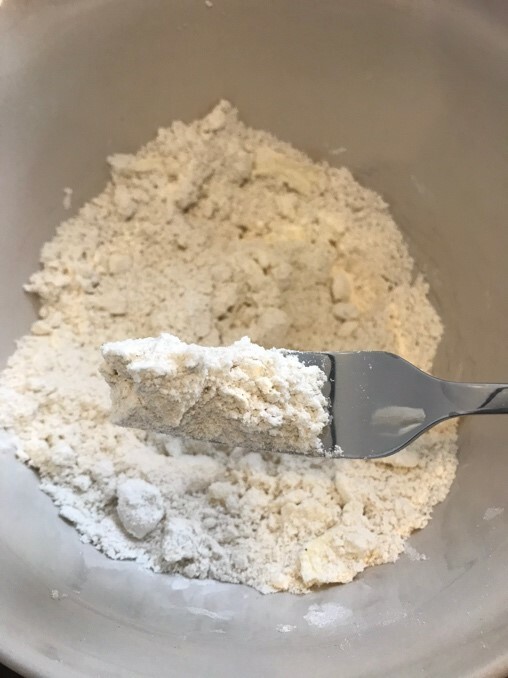 Use a pastry brush or a spoon to coat the top of the scones with this powdered sugar mixture. Let sit for another 5 minutes and serve! Use 2 ¼ cup of this blend in the recipe and keep extra on the side for cutting the dough. In a medium bowl, make the Brown Rice Flour Blend by combining 2 cups brown rice flour, 2/3 cups potato starch and 1/3 cup tapioca flour. In a large bowl, whisk together 2 1/4 cups of the brown rice flour blend, ¼ cup sugar, 2 tsp baking powder, ½ tsp xanthan gum, ½ tsp salt, and ¼ tsp nutmeg. 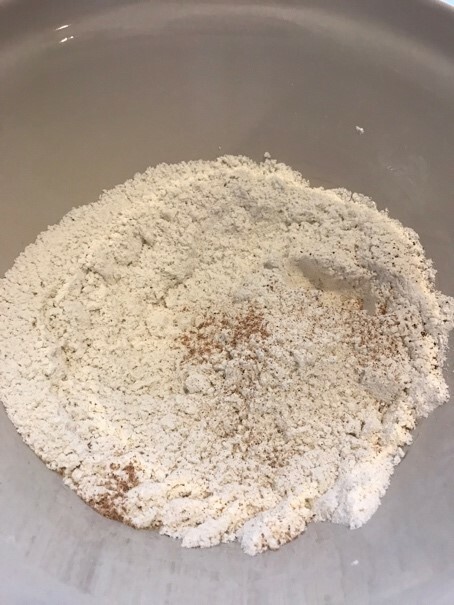 Work in 8 TBS of cold butter with a fork or pastry blender until the mixture is crumbly. In a small bowl, whisk together 2 large eggs, 1/3 cup cold milk, and 1 tsp vanilla bean past until frothy. Add the wet ingredients to the dry ingredients, stirring until well blended. The dough should be cohesive and very sticky. 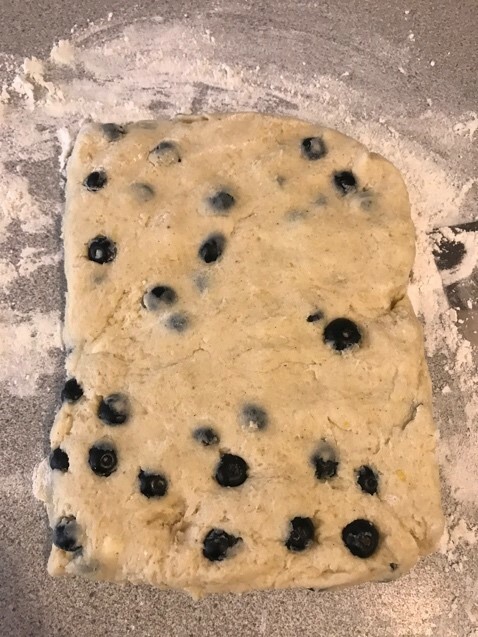 Fold in the blueberries and the zest of 1 lemon. Put the extra brown rice flour blend on the table. Take the dough and create one large rectangle. 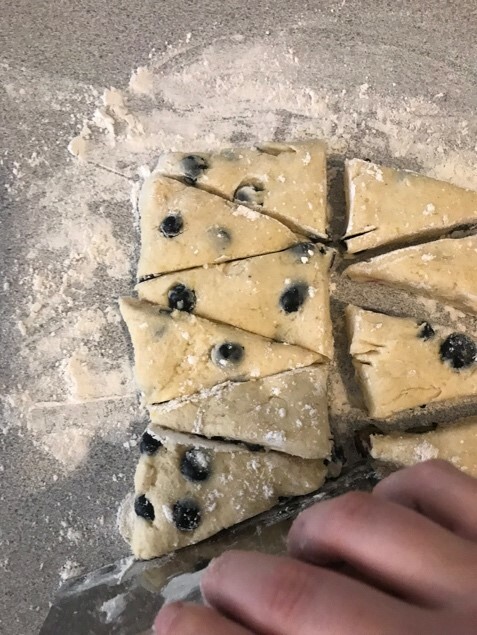 Cut the dough down the middle, so that you have to rectangles. Add the extra brown rice flour blend to a knife or a bench scrape and use this to divide the dough into rectangles. This will yield about 16 scones depending on how you cut the triangles. This will yield about 16 scones depending on how you cut the triangles. Place the scones on the parchment lined baking sheet. Bake for 20 to 25 minutes, until golden brown. Remove from the oven and let rest for 5 minutes on a drying rack. In a small bowl combine powdered sugar, lemon juice and vanilla bean paste. Use a pastry brush or a spoon to coat the top of the scones with the powdered sugar mixture. Let sit for another 5 minutes and serve! This recipe has been adapted from a recipe from King Arthur Flour, which can be found here. 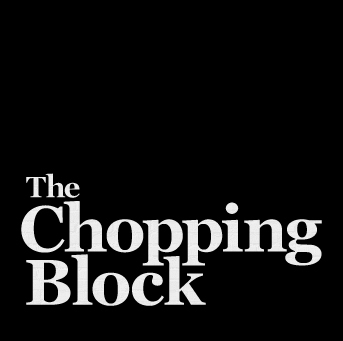 And if you want more delicious gluten-free recipes, download The Chopping Block's free guide Gluten-Free Gourmet. You'll learn how to make 6 gluten-free versions of your favorite dishes!